What is the advantages of the SPE electrolytic water hydrogen water? The SPE electrolytic water hydrogen production technology has the advantages of stable electro chemical reaction, not easy to precipitate harmful substances, hydrogen and oxygen generated by ionic polymer film isolation, oxygen is discharged into the air insoluble in water, resulting in a relatively high concentration of water, water quality and taste good. 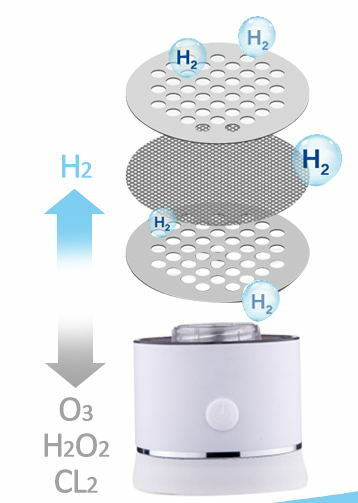 Adding a special process can electrolyze pure water, the current technology can electrolyze pure water basically belongs to high-end products, ACC WATER hydrogen-rich cups are SPE + PEM technology, perfect separation of hydrogen and oxygen, and effectively do not produce residual chlorine, ozone and H2O2, is the best hydrogen-rich water.